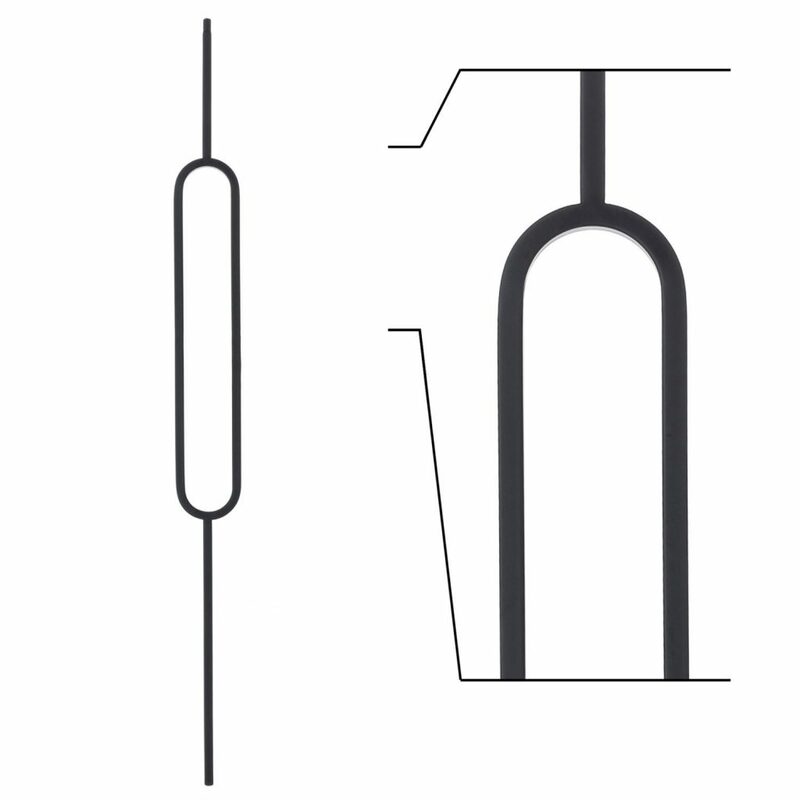 The above products are recommended for installation or mounting of the 16.6.2 Single Oval Iron Baluster. All of our iron balusters are 44″ tall, and are designed to be cut down on the job site. What is the size of the material? The baluster is 1/2″ x 1/2″ square hollow wrought iron. Do you have this in cold steel tubing? I am sorry, but we do not. Can these be welded into solid wrought iron hand rail? Welding our wrought iron balusters falls outside our recommended installation process, so we cannot weigh in on the likelihood of a successful installation. 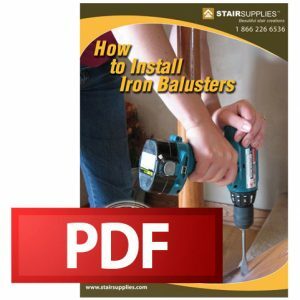 If you have additional questions, please give our team a call at 1 (866) 226-6536.
what will we need in order to cut the balusters down in size? Lisa, thanks for the question. To trim any of our iron balusters, you just need a metal abrasive saw with fine teeth. If you have any other questions, please don’t hesitate to call our customer support team at (866) 226 6536. What is the width of the baluster at the oval? Laura, thanks for the question. I happened to have one of them to measure myself. It is 3.75 inches wide at the oval. If you have any additional questions, feel free to give us a call at 1 (866) 226 6536. What is the length of the oval? What is the length on either side of oval? Thank you for the question, Tasha. The oval is 8 1/2″ long on each side and about 3 3/4″ wide at its widest point.